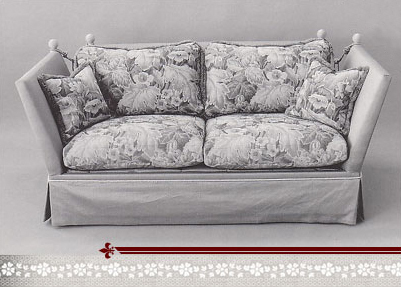 Superior quality and workmanship is the key to the beautiful results at Fine Upholstery. All the work is done in house by experienced and talented craftsman. We only use the highest quality materials and pay close attention to each and every detail. Our reputation has been based on honesty, fair pricing, quality workmanship and a wide selection of fabrics. We will provide you with a work order/ quote of the work required to be performed, and our suggestions of what may require replacement and what parts may be restored or re-used. We will help you with the selection of fabric based on your assessment and planned budget. Select from the list below that corresponds with your furniture and include it in your request and contact us.